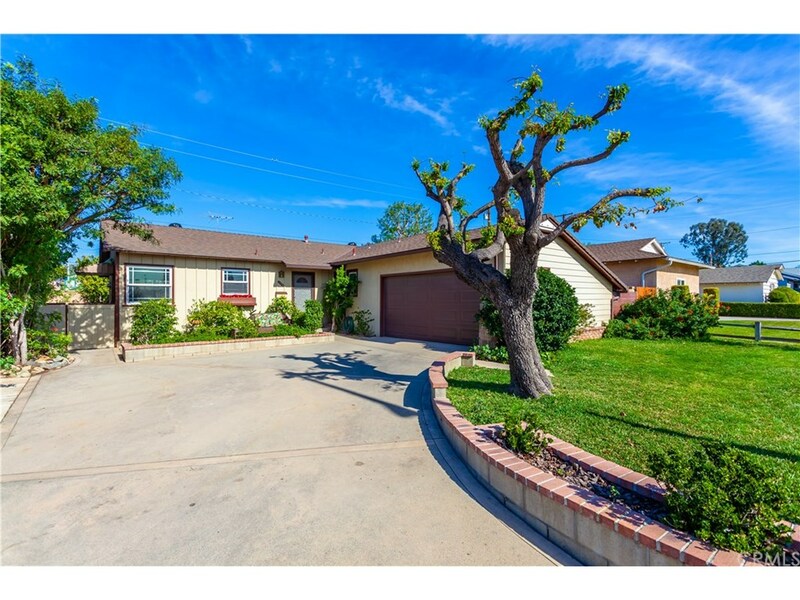 Welcome Home, this 3 bedroom, 2 bath home has many updated amenities approximately 5 yrs ago per the family, including Kitchen cabinets, granite counter tops, back splash, tile kitchen flooring, new carpeting in family room, dining & hallway. dual paned windows & slider, forced heating system, water heater, some light fixtures, bathroom cabinets & counters, insulated garage door. Direct access from the garage into the home. Laundry/utility sink in the 2 car garage, work bench and some storage. Blown insulation in the whole attic, Roof has been replaced approx. 10 yrs ago. Original hardwood flooring underneath the carpeting, may need to be refinished. Enjoy the cozy family room on a cold day by the gas fireplace with burning logs, the Yard has mature trees and shrubs, fruit trees like Guava, Mulberry, Lemon, block and wood fencing. This is a Probate Sale, being Sold "As Is".